Summary: We're changing how names are displayed on the site. Please take the opportunity to review use of your display name in your settings. 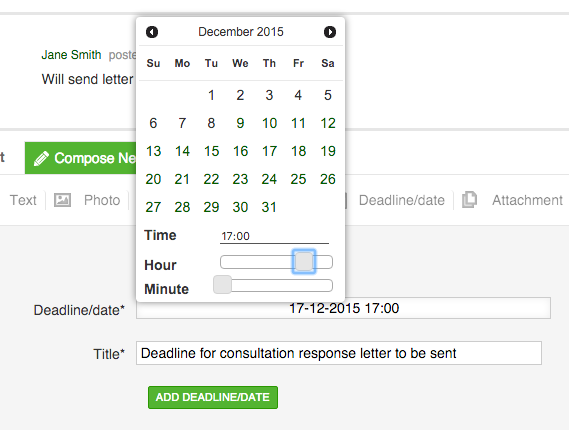 We're rolling out some privacy improvements, taking effect 20th June 2015. 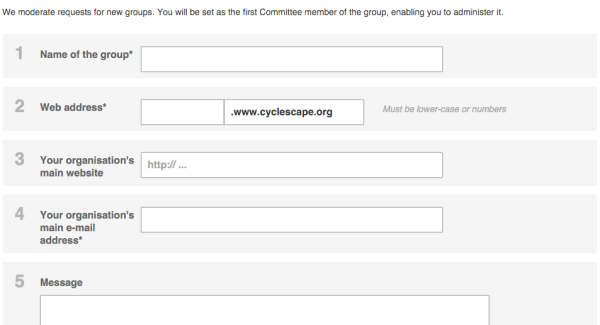 Some groups have told us that it is important to them that they are able to operate on the basis of member discussions using real names, so that members know who they are talking to. However, we recognise that this could be in conflict with the entirely reasonable desire not to have one's name on the public internet if wished. Accordingly, we have worked to implement a solution to this, whereby you can set your real name which people in your groups will see, but set a display name for everyone else. Previously the display name was always used. Once this change has been made, we'll be removing the temporary block from search engines indexing thread content that is set to be public. This requirement to private groups with the ability to operate on a real-names basis was one of the drivers for this improvement. As of 20th June, you'll be able disable your user profile at any time (again via the Edit my profile page), so that it is not visible to others. This includes the points above, as well as others, such as that we don't share your information with others e.g. for commercial purposes, and has the usual information on cookies. We also clarify that we only use EU-based server hosting (in fact, currently UK only). 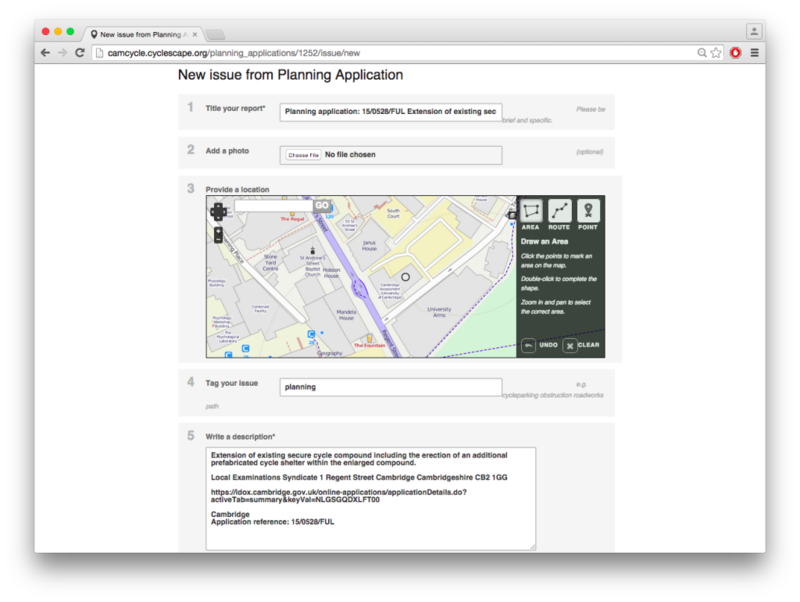 We're very excited to announce a major new feature on Cyclescape: integration of planning applications, which we pushed live last week after much work over the last 18 months. 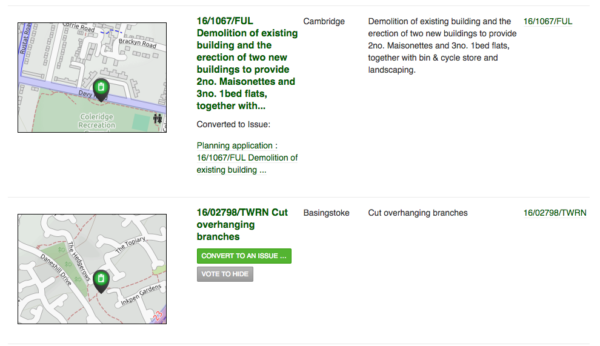 Planning applications strongly affect nearby cycling conditions. A new development could cause safety issues or, more positively, provide developer funding to add nearby cycle tracks. Councils are often not attuned to these, leaving campaigners to raise them. contacting people and taking things from there. In practice, all this rarely happens because it involves much administration / IT knowledge. Consultations are missed and opportunities lost. 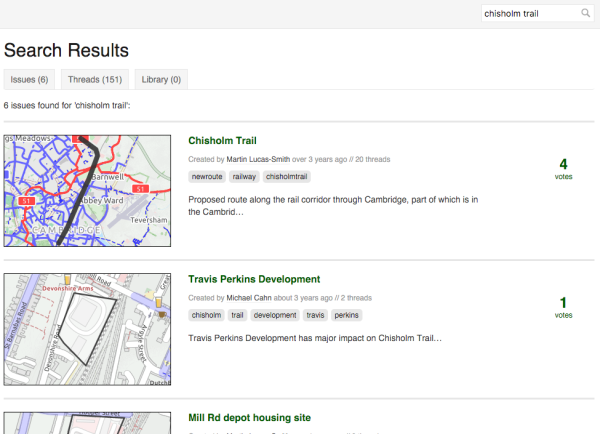 Cambridge Cycling Campaign is the group we've been testing this with and where the work has mainly been undertaken. This is 6 weeks of extra time to talk to the developers, and the Council, rather than deal with everything last minute - e.g. just before it goes to Planning Committee, as has happened in the past! 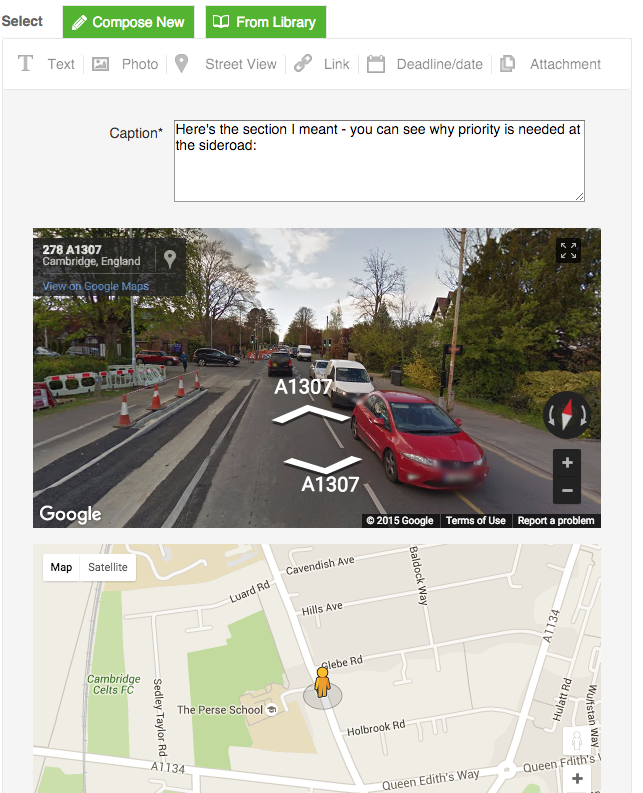 As there is no way for us to determine automatically (yet) whether a planning application is relevant - and there is a lot of irrelevant stuff like tree works - we have provided a button to enable an application to be hidden. If enough users in the group vote to hide the application, it will be hidden for all. In this way, group users can crowdsource relevant applications, and make it faster for others to work through to find relevant things. 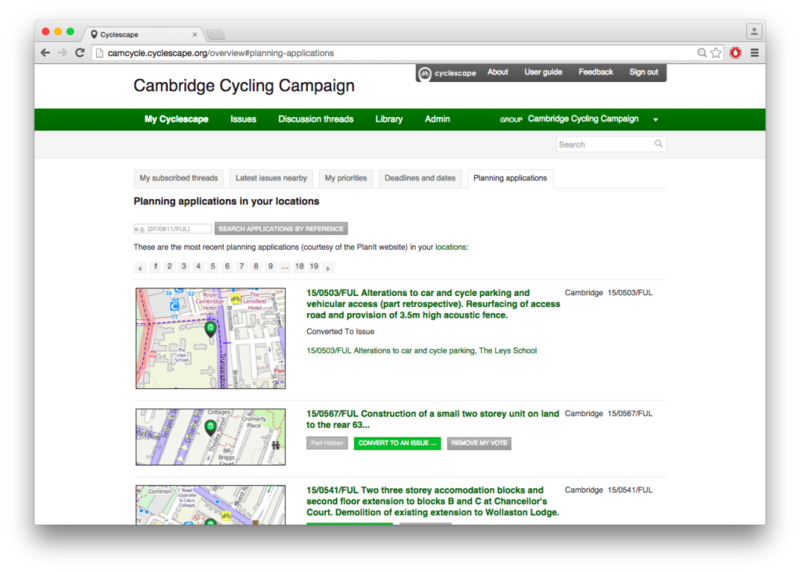 Al this has been possible thanks to work by our contact Andrew who is working on a new planning application data portal, PlanIt (building on an earlier system by Openly Local), which we in CycleStreets are hoping to collaborate on and support formally. 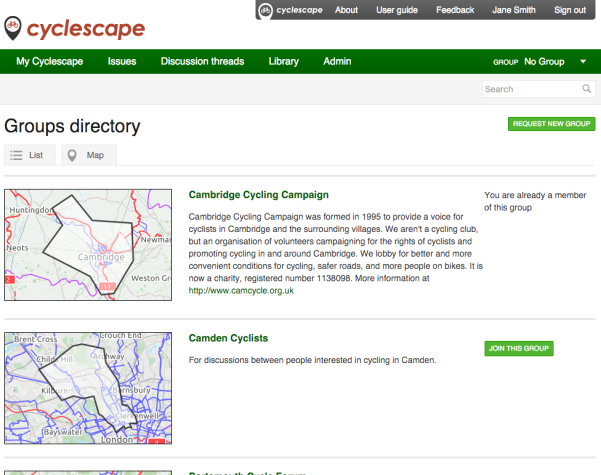 Not all areas of the country are yet covered - Cambridge, featured above, has been specially funded. 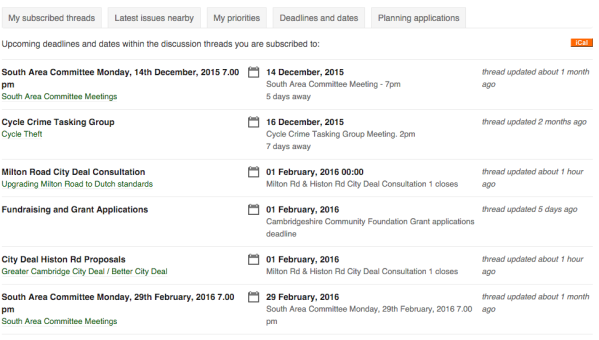 We'd like to thank Cambridge Sustainable City for their grant support. Get in touch with us if you are interested to have coverage in your area in future. We'd like to thank our developers Andy Allan and Nikolai Berkoff, as well as Andrew Speakman whose work has made this possible.